It seems appropriate at this time of the year to blog about one of Boroondara's cricket greats, particularly since one of our library borrowers sitting in the Hugh Trumble members' bar at the G did not know of his Boroondara connections. Hugh Trumble (1867-1938) was born at the Collingwood Stockade on 19 May 1867, the third of four boys. His father, William was Head Warder at the Collingwood Stockade which was on the site of the current Lee Street Primary School in Carlton.The Stockade, opened in 1953, had by 1866 become an asylum. 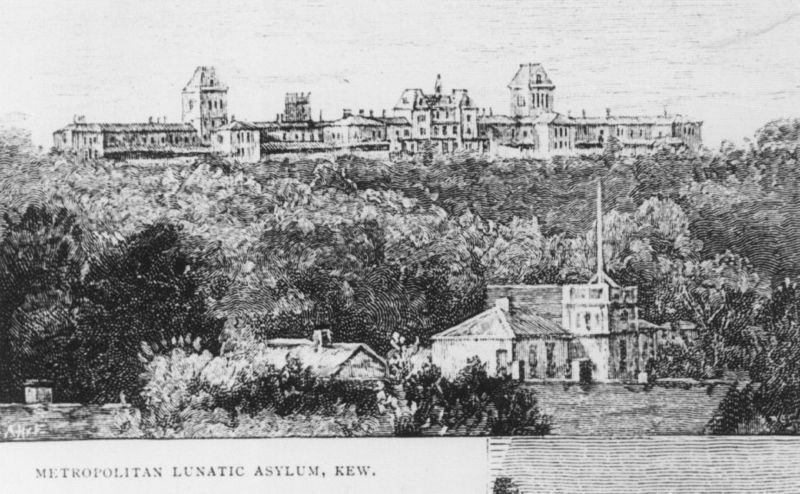 While young Hugh moved to Ararat where his father, William, was employed as a warden in the psychiatric hospital. 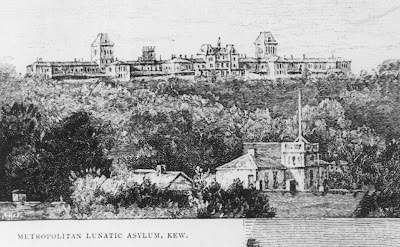 William transferred back to Melbourne with his family after the Kew Asylum (Willsmere) opened in 1872, and Hugh attended school at nearby Hawthorn Grammar School while living at the Kew Asylum. Hugh had a career with the National Bank of Australasia which he joined in 1887 and this included a stint as manager of the Kew branch from 1908 to 1911. He resigned this post in November 1911 to become secretary of the Melbourne Cricket Ground (MCG) and the Melbourne Cricket Club (MCC). He first played for Victoria in 1887/8 and made five tours of England. It was during the 1899 tour that he was described as "the best bowler Australia has sent us". Secretary of the MCC until his death in 1938, he oversaw the building of two new grandstands at the MCG and was well known as a raconteur. 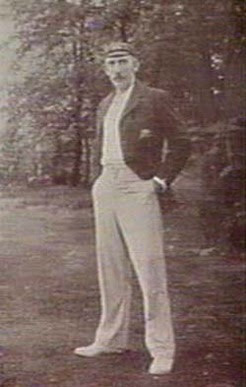 Trumble whose connections with Boroondara lasted until his death died at his Hawthorn Grove, Hawthorn, home on 14 August 1938. This Boroondara borrower is very pleased to have the story of the man behind the bar. Particularly interesting as I also have family connections from Ararat!